Melcor Developments Ltd. (MRD-T), an Alberta-based real estate development and asset management company, has a simple strategic philosophy which has served it well for 95 years. “It really hasn’t changed. . . . When you have a company that’s been around for 95 years you really have to go back to say ‘what’s worked?’ It’s hard to find other companies that have been around 95 years, especially companies that survived through the ’80s,” said Darin Rayburn, Melcor’s president and chief executive officer. “From our perspective, if I have to summarize our culture and our foundation it’s about being cautious, being smart. It’s about not being over-leveraged. “We’re pretty quiet. You won’t see us in the front of the newspaper tooting our own horn. We tend to let our results speak for themselves. One of the things that’s always been passed down to us from the Melton family, who are the founders, is we’re entrepreneurs at heart. So we try not to get caught up in the hype. Melcor develops and manages mixed-use residential communities, business and industrial parks, office buildings, retail commercial centres and golf courses. It owns a well-diversified portfolio of assets in Alberta, Saskatchewan, British Columbia, Arizona and Colorado. Melcor has been focused on real estate since 1923. The company has built more than 140 communities and commercial projects across Western Canada and today manages 3.92 million square feet in commercial real estate assets and 609 residential rental units. Its head office is in Edmonton with regional offices throughout Alberta and in Kelowna and Phoenix. Melcor has been a public company since 1968 and trades on the Toronto Stock Exchange. The Melcor REIT (MR-UN-T) went public in 2013. It’s a year of milestones for Melcor – 95 years in business, 50 years as a public company, five years for the REIT. “It says this in our annual report, and we talk about it all the time and people sometimes criticize us for being folksy, but it truly is the base of our foundation. This comes right from the Melton family . . . we talk about this golden rule in everything you do. And simply stated it’s treat others as you’d be treated,” Rayburn said. Rayburn has 25 years of experience in commercial real estate management, including management positions with Cambridge Shopping Centres and Oxford Properties. 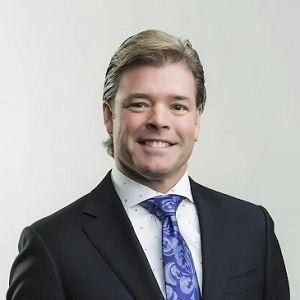 He joined Melcor in 2002 to grow the company’s commercial property assets in Western Canada and the United States. Rayburn was promoted to executive vice-president of Melcor in 2011 and was appointed chief executive officer of Melcor REIT when it was formed in 2013. He became president and CEO of Melcor in 2017. Rayburn holds an honours degree in economics and political science from the University of Alberta. Rayburn said the company has historical knowledge of the markets in which it operates. “When you look at the results, we’re sort of reaping the benefits of not just going blindly into a market and not following the crowd, but understanding and doing the research in advance and being patient,” he said. “In the 1980s when things slowed down in Alberta, Melcor actually had some active development projects in California and Phoenix. That kept the company thriving during the tough times in Alberta. Those developments were worked through and went dormant until 2008 when we were active there again. He said the company is very committed to the Phoenix and Denver markets both in the residential and commercial sectors. “There are some exciting times down there. Whether you agree or disagree with the current White House administration the reality that we’re finding is, for the right project and the right location, there are opportunities,” added Rayburn. Alberta remains Melcor’s home market, however.